Thinking about doing some upgrading in the future. Thought I would start with some questions about the Garman G3X. 1) Is the GPS that's built-in able to be certified for approaches? Enroute? 2) Can it only be paired with Garmin radios? Transponder? Becker radios? 3) Can a narco nav 122 data be displayed on it? 4) Can a non garmin servo be made to work with it? 5) Can it supply a trutrak PFD an rs232 feed? 6) Is the GPS Waas? If not, how does that factor in with the ADSB? If at all? 7) how much are the monthly / yearly updates? 8) if not updated, can you still use the outdated data? 9) where/what is the cheapest place to get a new/used G3X? Okay, I'll guess. But I don't own one, so don't believe anything I say! 2. You can make most radios work okay, as long as you don't want to control them thru the EFIS. Older VOR radios may not display CDI data on the EFIS. 3. See #2. I don't know. 4. I don't know but certainly for some servos the answer is no. 5. My guess is yes, but check. 6. Doesn't matter, the internal gps is not approved for ADSB-out use. 7. Check Garmin's web site. There are many different "packages". 8. Yes. But it may not be legal for IFR except "awareness"
9. On this forum for used! For new ask Stein (an advertiser here) for a quote. (he may not be the absolutely cheapest but he is dependable, honest, great service). Hope we can get the Garmin guys to reply because I want to add another question. 1. Other than WASS and radio what do GTN 650 & 750's provide that the G3x touch can not? A legal IFR navigation source. Suggest you send an email to g3expert at garmin dot com with your questions. Fast and friendly service - and it seems like they never sleep! A legal ifr navigation source, and a legal position source for ADSB-out boxes that can read Garmin's ADSB+ format. Because the G3X is not certified through the TSO (the FAA's Technical Service Order) it cannot be certified for IFR operation. It supplies you with either an awesome VFR platform or gives great situational awareness for IFR. As the other guys said, you need to add a certified IFR instrument. A basic certified IFR GPS and a current data base and your have an IFR platform. The CDI information can be displayed on the G3X, as with the other manufactures. From what I have researched, you will get minimal features mixing the G3X with other manufacturers (and visa versa). There are firmware and software issues, along with the usual product marking. Garmin, Dynon, GRT are really close in the price points, and each have attractive features. The best thing to do is get some hands on with the different brands and see what you like. 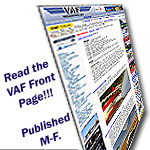 The annual IFR database will range from around 300 to around 1000 dollars depending on the sunscription level (regions), how many certified IFR units you have, and it will have VFR updates for the G3X units. Just to clarify the above post: Most equipment (attitude indicator, airspeed indicator, DG, VOR, com,...) can be used for ifr operation in an EAB without any "certification", e.g., TSO. A small number of items must at least "meet the standards" of the applicable TSO. These include transponders, ADSB-out, ELTs, and GPS used for IFR.